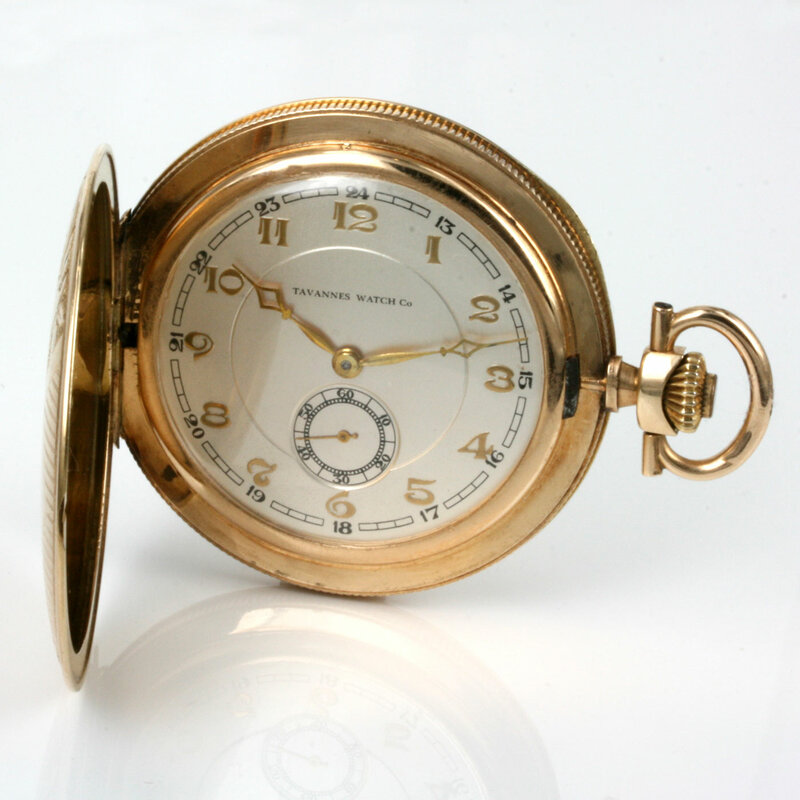 Product code: 1317 Categories: Sold Items, Sold Pocket watches. 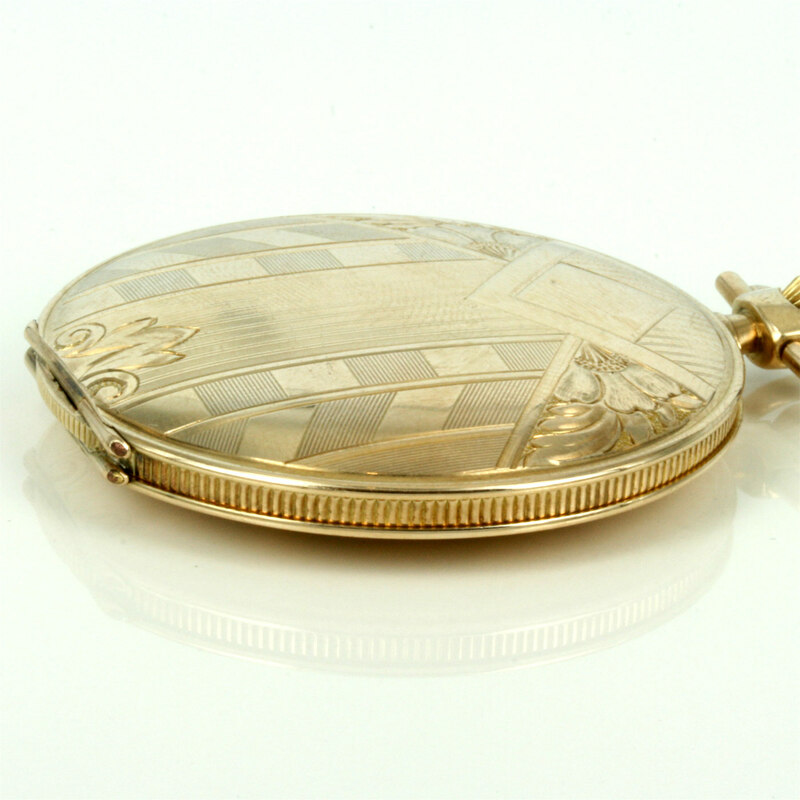 What a handsome and stylish solid gold case this pocket watch has. 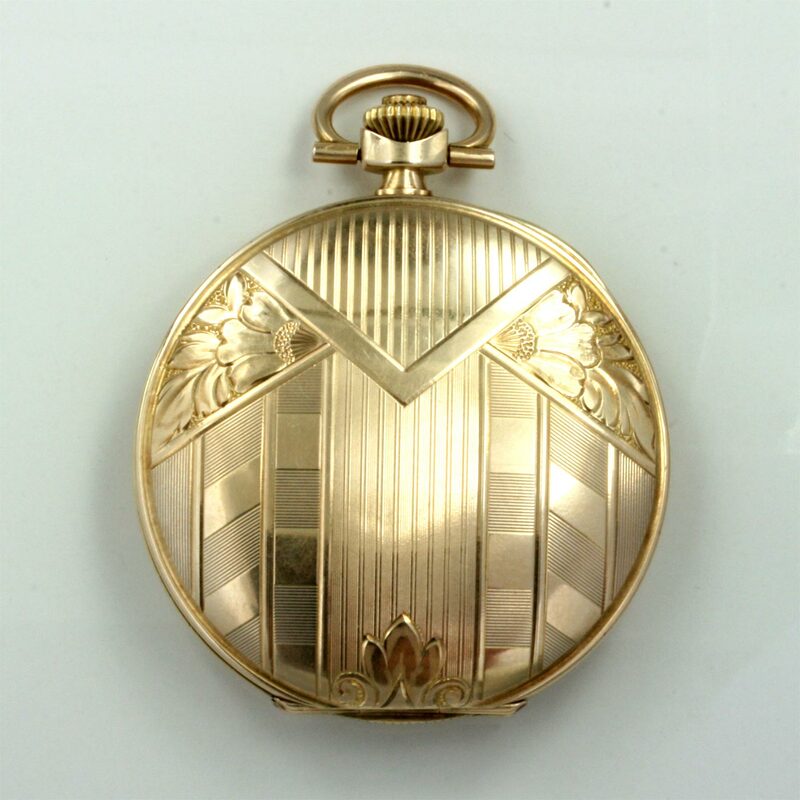 From the Art Deco period of the 1920’s, this gents pocket watch is made in 14ct yellow gold, and is made by the Swiss firm, Tavannes Watch Company which was also associated with Cyma. 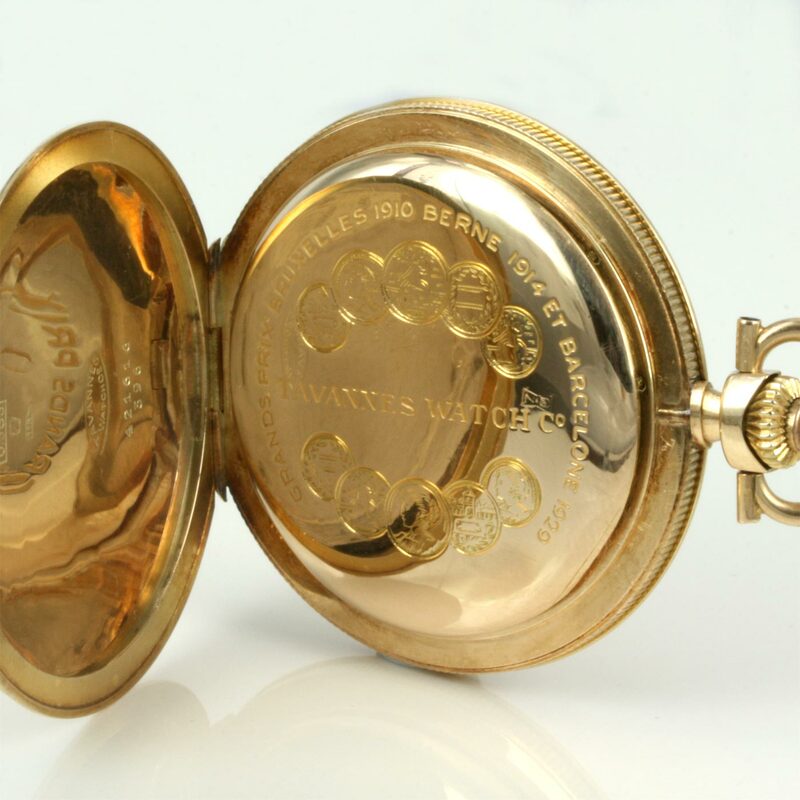 The case measures 48mm across, and the side of the case has a wonderful coin edged effect. Inside is a 16 jewelled manual wind movement that runs perfect, and being slim, makes this a very elegant vintage pocket watch from the Art Deco era.